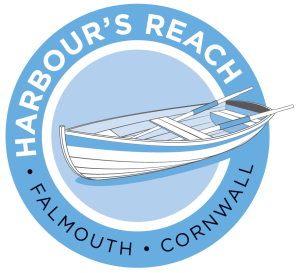 If you’re looking for a self-catering holiday cottage/apartment with a sea view, then look no further than Harbour’s Reach. Beautifully tucked away on Falmouth’s historic King Charles Quay, Harbour’s Reach is centrally located, and yet wonderfully secluded. You can take your pick of six tastefully furnished sea view holiday homes, each with their own private balcony or terrace where you can relax and soak up Falmouth’s harbour life. From the comfort of your own sea view cottage, watch as the historic Falmouth Working Boats slip their moorings to go racing, Cornish Pilot Gig rowers muscle their way across the harbour, fishing boats head out to bring home the daily catch, and hundreds of small craft navigate their way around the third deepest natural harbour in the world. Falmouth is an enchanting place to spend a holiday, and a Harbour’s Reach cottage with a sea view is a fine choice. At Harbour’s Reach, our holiday cottages by the sea have all been recently renovated. Airy, and up to date, you’ll enjoy a comfortable and relaxing stay. All of our Falmouth holiday homes enjoy sea views from private balconies or terraces, comfortable bedrooms, modern kitchens and bathrooms, and open plan living and dining areas. Should you find yourself needing anything extra, Tim and his team are on hand and happy to help.